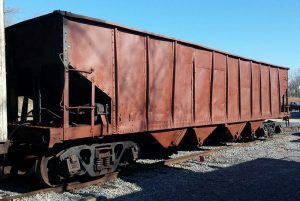 Open-top hopper cars are used to transport loose bulk commodities such as coal, ore, crushed stone that won’t be affected by rain or changes in weather. They are top-loaded, and bottom-discharged using gravity. 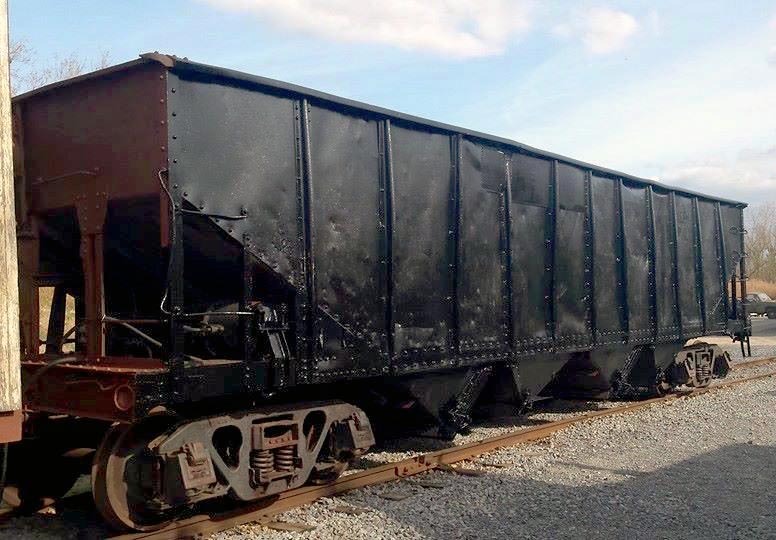 Our hopper car was originally built in November 1909 built by the Pennsylvania Railroad in its H21 class. When production ended in 1923 more than 34,000 H21 class hoppers had been constructed. Each car was designed to carry up to four and a half tons of coke used in steelmaking. The hoppers were upgraded with heavier trucks in 1922 and assigned to coal-hauling service as part of class H21a. The Pennsylvania Railroad rebuilt these cars between 1926 and 1948 to increase their capacity, and reclassified them as H21g. PRR 747803 emerged as a 12 panel, 4-bay hopper, utilizing girder construction. These cars were again rebuilt in the 1960s to extend their service lives. Many of these hoppers survived into the Penn Central era, hauling coal and other commodities. Pennsylvania Railroad 747803 was located at the Owens-Illinois plant in Brockport, N.Y., where it was used to store glass for recycling. It was donated to our museum in 1996, and was put into storage out of public view. 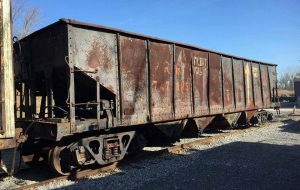 As we once again turned our attention to our fleet of historic freight cars, this car was scraped, primed, and painted black by volunteers during the spring and summer of 2016. Our long-term goal is to restore this car to its mid-century PRR paint scheme. Illustration by Harold Russell, Courtesy Kalmbach Publishing Co.